Hand crafted by our talented artists and assembled in our studio in Brooklyn – each piece is a true work of art. At Shakuff, you push the limits of light, color & texture, with our dramatic custom lighting & décor made from our exotic, fused & blown glass. As a lighting and glass manufacturer, Shakuff is as unique as the products we offer. We're small enough to provide an unparalleled level of service and craftsmanship. Yet we're large enough to handle residential and commercial jobs of any size. Not found everywhere, you can see Shakuff's exotic materials displayed in select showrooms and retailers around the globe. Whether you have a vision or you're looking for one, or several, our artists can create something way beyond the expected. Let us create something exceptional for you. A veteran in the field of lighting, Staci Ruiz has over two decades of experience specializing in residential lighting applications and design. As an accomplished lighting consultant, Staci brings the experience of hundreds of diverse lighting design projects and installations to her clients. This experience makes her a valuable addition to any renovation project. 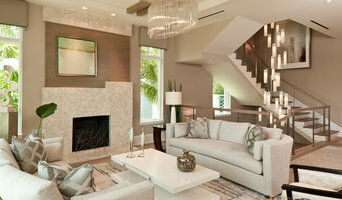 Staci specializes in residential lighting design, and it is this expertise that sets her apart. Her 'hand holding' approach to consulting combined with her extensive experience allows her to fully realize her client's goals. She uniquely bridges that gap between contractor and client to ensure the desired results. Staci lives in New York City with her architect husband and son Antonio, who just happens to be the light of her life. Find all your Lighting & Home Decor needs for every style home, all in one place at WeGotLites.com! Our Showroom is Located in Staten Island off the West Shore Expressway (exit at Bloomingdale Road). With decor styles ranging from Modern to Rustic, Victorian to French-country, you will be sure to find the right light for your home, whether to beautify your indoor or outdoor space. We carry all brands of Flush and Semi-Flush Mounted Lighting Fixtures, Large Entry Foyer Chandeliers, Kitchen and Pendant Lighting, Table Lamps, Outdoor Lighting, Ceiling Fans, Track Lighting & More. We also carry a full line of home decor products such as Accent Furniture, Wall Decor, Mirrors, Candle-holders, Vases & More! We have a 125% Low Price Guarantee + FREE Shipping on most orders over $99.00 within the US. We produce and deliver an outstanding quality custom made genuine Murano glass chandeliers and other style of lighting fixtures. Our customers are the “Crème de la Crème” of Interior Design, Architectural, and Building Construction industries. We strive on building personal relations with our clients. That’s why the majority of our business comes from referrals and long-time customers. As our customer, you can only expect superior service from us. 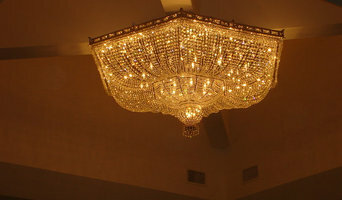 As our valued customer, you can choose from a variety of original Murano glass artworks such as Traditional Venetian Murano glass chandeliers, Modern chandeliers and Contemporary chandeliers, large size Grad chandeliers, Antique style Wrought Iron chandeliers, Murano Ceiling lighting, Staircase chandeliers and Swarovski chandeliers. Modern and Contemporary chandeliers, large contract size chandeliers, traditional Murano glass chandeliers, antique style chandeliers, wrought Iron chandeliers, Swarovski crystal chandeliers, metal with fabric lampshades chandelier. Patdo has evolved since 1973 into the Tri-state area’s premier source for high-end architectural and decorative lighting products and excellence in lighting design. Our extensive credentials include some of the nation’s top architects, interior designers, decorators and landscape architects. We have earned the respect of these design professionals through our hard work and consistently excellent results. When lighting is ignored or simply not given enough importance, expensive and rich materials such as stone, fabric and wood lose their beauty. Tasks can be difficult to perform under improper light levels or in shadow. Switching and dimming is frustratingly illogical and inconvenient when not properly planned. Spaces are too dark, too bright or have the wrong feel and colors pale in artwork, paint... and fabric. Proper lighting addresses and corrects all the above inadequacies, transforming good spaces into great ones. The lighting can be decorative adding beautiful and distinctive elements or recessed blending seamlessly into the architecture. The showroom’s expertise lies in the selection and application of decorative lighting solutions. They can also provide you with specifications and approximate locations for recessed lighting; however, they do not produce formal architectural lighting plans. For more “architectural” or complex lighting designs and fully detailed architectural lighting plans, you should contact our design department. Lighting World Decorators, we are Staten Island's largest discount lighting center. We are committed to assisting our customers enhance their environment by providing great personal service, expertise and an engaging online shopping experience. Our Goal is to provide the lowest prices on the best selection of lighting fixtures, floor lamps, furniture, and ceiling fans with an extraordinary customer experience. We have been lighting the homes and businesses of our community for over 20 years. Lighting World Decorators is family owned and operated and we continue to stand with those same family values as we light the rest of the world with our great selection of products. Our 6,000 square foot showroom showcases our huge selection of home lighting fixtures, outdoor lighting fixtures, furniture, vanities, paintings, mirrors and varieties of fans. With our wide selection of merchandise, we can help light up or beautify any indoor or outdoor environment. We also have a vast variety of replacement bulbs for any lighting fixture. We carry Crystal Chandeliers from industry leaders like Artcraft, Schonbek, James R. Moder, Dainolite, Elegant Lighting, ET2, PLC Lighting and more. A great selection of home ceiling lights from Fine Art, Schonbek, Murray Feiss, Kichler, Uttermost, Transglobe, Elk, Hudson Valley just to name a few. We also carry fans from great brands like Casablanca, Craftmade, Monte Carlo, Emerson, and Fanimation. Visit us now to view our huge selection of products. Our range of services include, free in-home consultations, lighting fixture repair, and in-store decorators. We provide free in-home consultation to help decorate your home or environment with the best lighting and exquisite furniture. We provide lighting fixture repair service to insure your lighting fixtures are working to their best quality. Our in-store decorators will also assist you with selecting the best of our products to enhance your desired space. We Stand by Our Lowest Price Guarantee. WAC Lighting has been an industry leader for over thirty years. Groundbreaking LED technology put us on the map—a responsible manufacturing model and beautiful, energy-efficient product designs are taking us into the future. We’re deeply committed to making the world a better and brighter place through smart, superior products across the residential, retail, hospitality, and commercial space. *Authorized Hinkley Dealer* Voted Best of Westchester by Westchester Magazine for several years running, HI-LIGHT is based in Yonkers, New York only fifteen miles from Manhattan. After more than thirty years it is still run on a daily basis by the same family. Our children were brought up in the lighting business and work with us today to continue the HI-LIGHT tradition of offering lighting and home accessories of exceptional quality, style, and price while providing the service our customers have come to expect. Many discriminating restauranteurs have come to HI-LIGHT to design a lighting theme that reflects their individual style and taste. Check out some of the results while grabbing a bite at Sammy’s Downtown Bistro or Underhills Crossing (both in Bronxville), Harry’s of Hartsdale, Palmer’s Crossing in Larchmont, Rancho Grande of Yonkers, and the Quarry Inn of Eastchester just to mention a few. Be inspired by the custom lighting fixtures designed for Beckwith Point or the Surf Club in New Rochelle and then head to HI-LIGHT on Central Avenue or its newest showroom “Lites Plus” on Route 59 in Nanuet, where we may assist you in creating a space that is a reflection of your personal style. Expect to be dazzled! Since 1978, REVCO Lighting + Electrical Supply is known for being up on the latest trends and newest products for the residential, commercial, industrial and retail markets. Our product line includes: decorative lighting for the interior/exterior; wireless home automation and decorative shades, electrical supplies, tools, light bulbs, heating and ventilation and more!. We are sure to have something you want or need for your home or business. REVCO Lighting + Electrical Supply is a company built upon integrity, professionalism and providing superior customer service under the leadership of three generations of the Velys family. No matter what the product might be, Revco will find it. In business and at home, having the right lighting and ambience helps make customers and friends feel welcome, comfortable and at ease. And, the lumen or glow can help improve employee productivity drive more traffic and be an energy-saver. Stop by one of our showrooms/branches today, and discover a whole new world of decorative and energy-efficient lighting for the interior/exterior from traditional to contemporary priced for every budget and other items. Our experienced and friendly staff are happy to help you with finding the right products to fit your needs. From beginning to end, Revco will be with you until the project is complete. Revco's mission is to satisfy our customers, courteously. Founded in 1921 by Sam Blackman as a small plumbing supply shop in New York City, Blackman has grown into one of the largest distributors in the North East. In addition to plumbing, Blackman also supplies a variety of Heating, HVAC, WaterWorks, Tools, Lighting, Tile, and Stone products. With 20 locations across Long Island, Manhattan, New York State, and New Jersey, Blackman is proud of its more than 90 years of service. TOKENLIGHTS is a lighting design studio based in New York City. Our aim is to disseminate a distinctive style and philosophy of object making. Through the design and production of contemporary lighting and objects we hope to provide customers with a catalyst through which they can draw meaningful conclusions about how to view their surroundings. We have worked directly with many designers and other industry professionals to incorporate our products into a range of projects, including residential spaces as well as large commercial and hospitality projects. Lighting New York is an authorized online retailer for over 130 different brands. A staple in the lighting community since 1992, our two brick and mortar stores are located in New York City's historic lighting district. When it comes to renovating your home or building a new home, one aspect that is often overlooked until the last minute is lighting. At Lighting New York, we pride ourselves on being the COMMERCIAL AND RESIDENTIAL LIGHTING EXPERTS. Our Lighting Experts have OVER 100 YEARS OF COMBINED LIGHTING AND LIGHTING DESIGN EXPERIENCE, as well as ALA & Bulbrite certifications. No matter what your decorating tastes are, we'll be sure to find a lighting product to match. When it comes to lighting we are a leader in quality, selection, customer service and pricing! Suffolk County's largest lighting and home decor showroom. Long Islands' best selection, best service and best pricing. Our 8,000 square foot design center features, chandeliers, vanity lights, table lamps, floor lamps, exterior lighting, vanity lighting and recessed lighting from the industry's leading manufacturers. Trade Professionals: As our Trade Partner, you have access to a group of specialized services reserved exclusively for our design professionals including a trained one-on-one lighting consultant, an extensive product database, custom fabrication capabilities, and a full-service lighting design studio. PERSONAL LIGHTING CONSULTANT Participation in Lighting Gallery Trade provides you with your own personal lighting consultant available at all times. Whether you need help finding an item in a different size or finish, need someone to research wall sconce options to work with an existing chandelier, or you need a professional lighting designer to review your lighting plan and provide feedback, our dedicated team of lighting professionals can help you free of charge. STATE-OF-THE-ART PRODUCT DATABASE Our on-line catalog features more than 100,000 lighting fixtures and home accessories. Our user friendly interface allows you to sort items based on various criteria including style, finish, and price. In addition, our Trade portal allows you to view both retail and net Trade pricing, create multiple wish lists, and print out product tear sheets. In addition, our Portal allows you to display either LG Trade’s internal product number or the actual manufacturer info, letting you decide how much product information you would like to share with your clients. CUSTOM FABRICATION Whether you are looking to design and fabricate one original design, or value engineer and mass produce an existing design, Lighting Gallery Trade can help you. We have overseen the design and production of hundreds of custom fixtures and portables and can guide you through the entire process. In addition we work with multiple domestic and overseas manufacturing sources, ensuring you the right partner and price point for your next project. Think about how you plan to use each area of your Westport, CT home. It's important to communicate to your Connecticut lighting designer which space will be used as an office and which will be a media room, for example, as these will require very different lighting methods. In addition, consider how you'd prefer to control the lights. Lighting technology today includes dimmers, sensors, photocells (that let lights react to the amount of daylight in a space), programmable scene controls (that let you program different settings for varied lighting) and whole-house lighting controls (that let you control all or a portion of your home's lights from one source), allowing you to tailor your lighting controls however you wish. Find a lighting designer on Houzz. 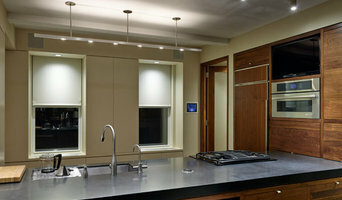 Narrow your search in the Professionals section of the website to Westport, CT lighting designer. You can also look through Westport, CT photos by style to find a lighting design you like, then contact the designer.